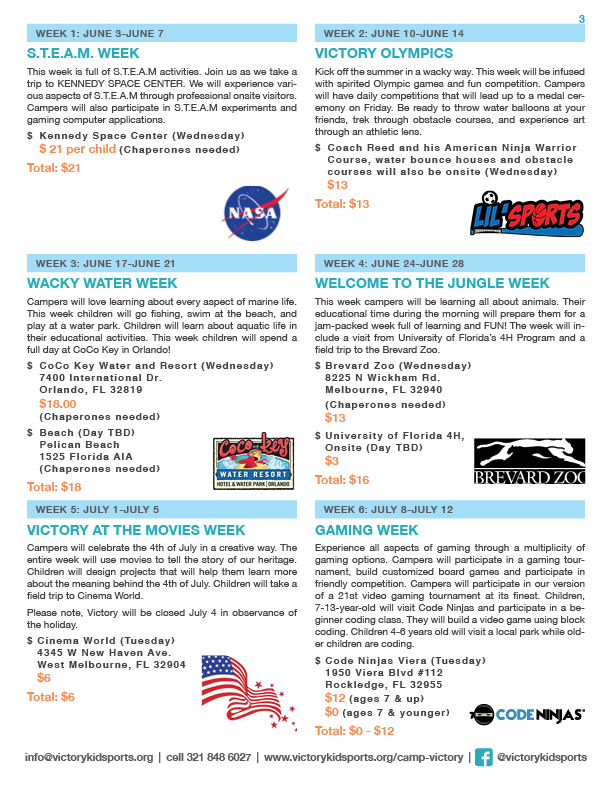 HERE ARE SOME OF THE AMAZING UPCOMING EVENTS AT VICTORY CHURCH. 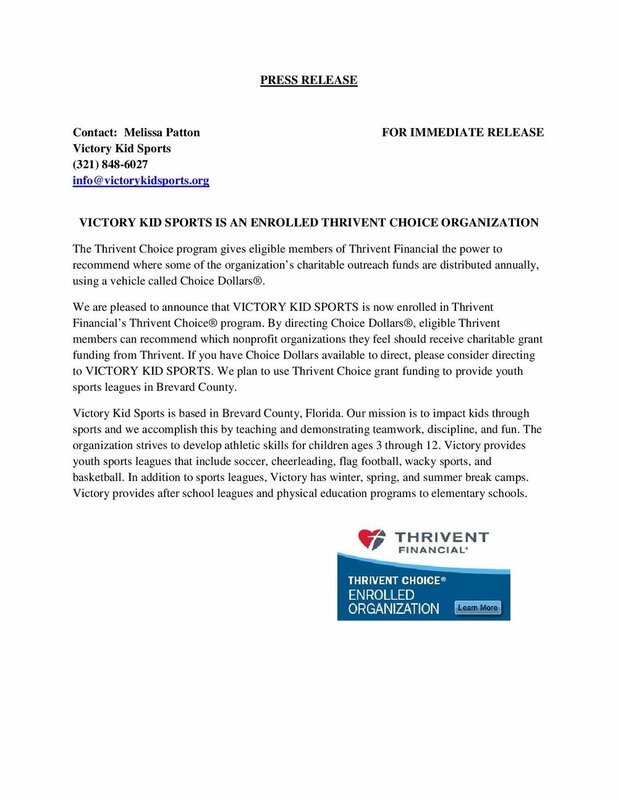 The Victory Squad is launching its 1st quarter outreach project….the Laundry Basket Drive for Family Promise. There will be a laundry basket in the foyer this month for your donated cleaning and laundry items. We'd love to have your help for this tremendous outreach opportunity! Drop off your items by April 21 at one of these locations. 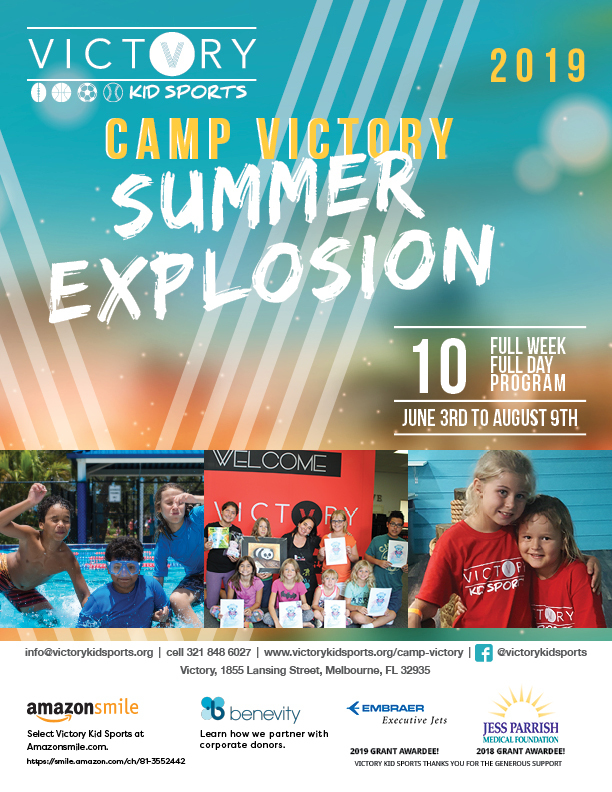 Email info@victorykidsports.org or go to https://www.victorykidsports.org/brevard-county-fl-camp-victory-after-school-program-2018/ for a list of schools where we pick up.